Serving the Outer Banks from Corolla to Ocracoke! Thank you for your interest in Outer Banks Wedding Entertainment! 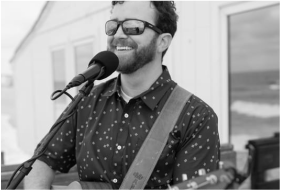 Jeremy Russell has been singing, playing guitar, ukulele, and performing on the Outer Banks of North Carolina for over 10 years! What sets him apart? He's uniquely able to play and sing acoustic music for your ceremony & cocktail hour - then switch over to DJ mode to spin all your favorite tunes for your reception. Jeremy has a vast list of songs to choose from when playing guitar. 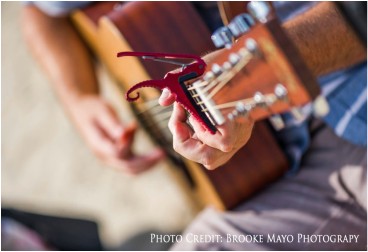 Classic Rock & Motown to Reggae & Country - he plays a variety of songs and he's always willing to learn something new for your event. He definitely knows how to read a crowd and keep the music fun and appropriate for the moment. When DJing, Jeremy plays music that appeals to all ages and he accepts requests from guests when he can. 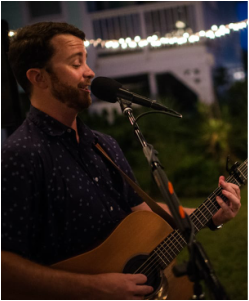 Jeremy will create a personalized playlist for your reception that will keep the party going and include your favorite genres and artists. When planning your wedding, let this be something you don't have to worry about. 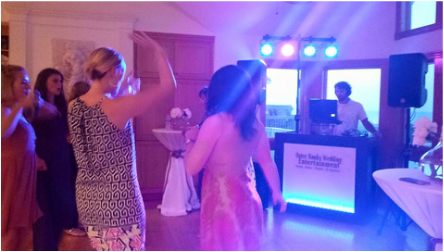 Relax and call Outer Banks Wedding Entertainment for all your entertainment needs! Find out if your date is available! Now Offering Full Band Packages! ​Click here for more details!